Experience an international flight from the Euro Airport, Mulhouse. You fly from the countries triangle and you will experience the big city from the top or take a trip to the neighboring countries Germany and France. Flights from this Airport are especially exciting, in particular because of the atmosphere and the radio traffic from the big Aircrafts. VAT included. Shipping and handling included * Geneva 6 Pers. When do you make a helicopter flight from Basel? The international airport Basel-Mulhouse is located 6 km northwest of Basel (Switzerland) and 30 km southeast of Mulhouse (France). Unique in the world of the airport these Airport is jointly operated from two states. 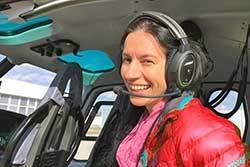 Start your helicopter ride from the international airport Basel.